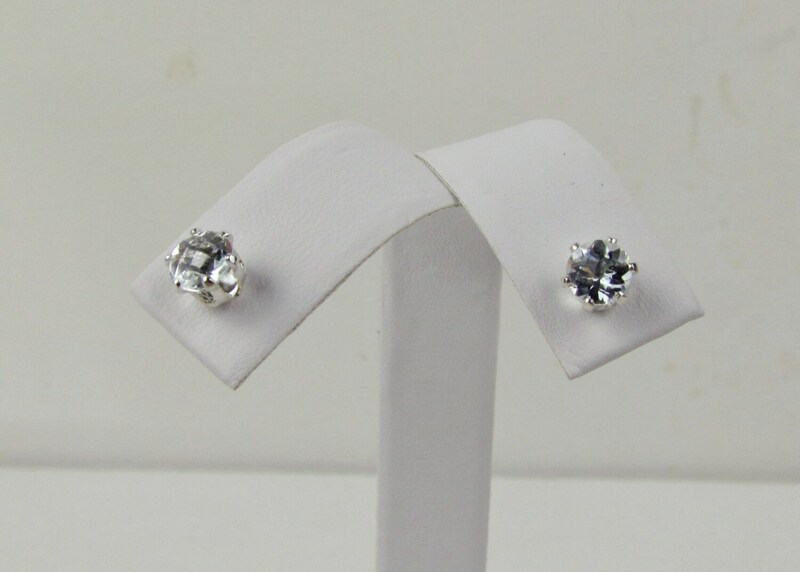 Silver Earrings - White Topaz - White Topaz Earrings - Stud Earrings: These gorgeous sterling silver post natural gemstone earrings feature White Topaz stones. 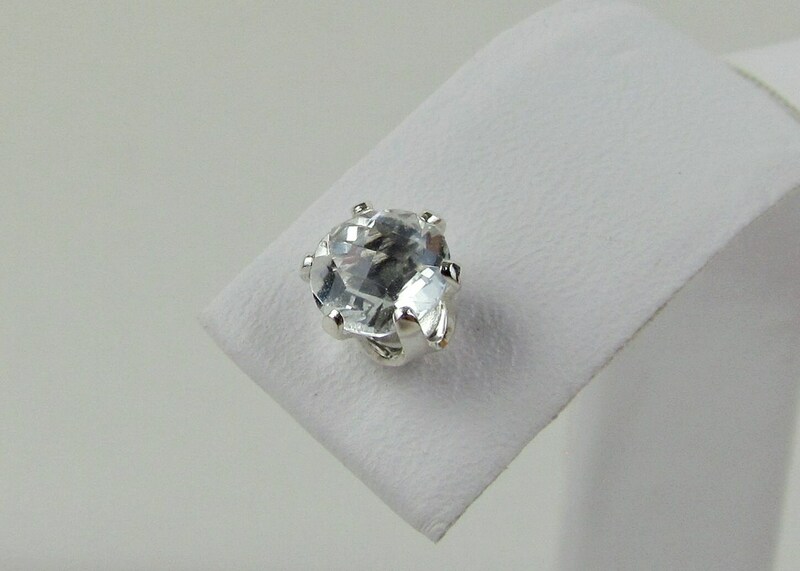 The natural White Topaz gemstones are 5mm (1/5") in diameter. 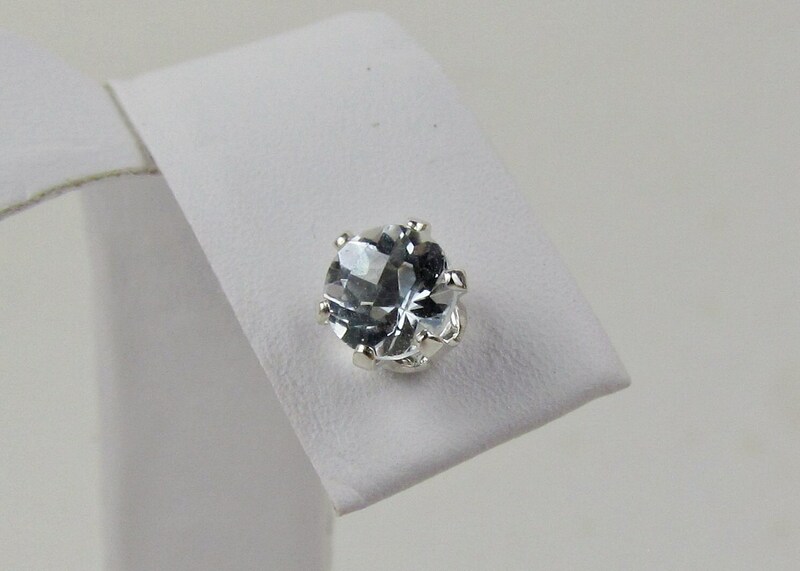 These dainty earrings are perfect for special occasions or everyday wear. 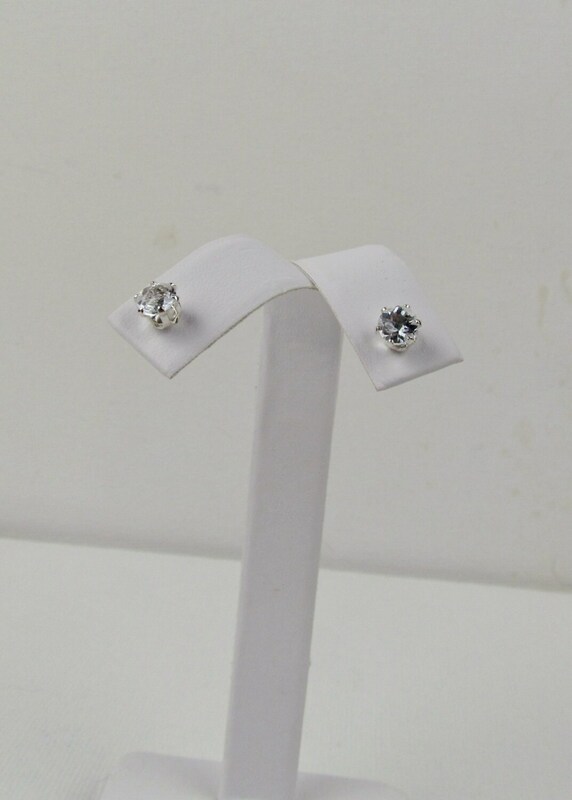 They are a very simple and elegant pair of earrings! The White Topaz stones are absolutely brilliant! These are a quality item at a very reasonable price! As with every pair of earrings we sell, these earrings will arrive in a beautiful gift box for no extra charge! Note: The pictures are representative of the pair of earrings you will receive. 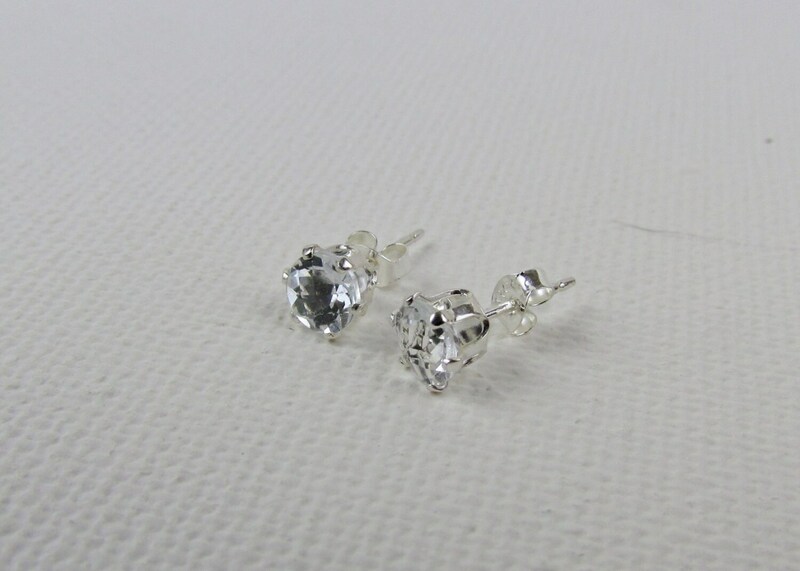 Incredibly fast shipping for incredibly beautiful natural topaz earrings! CJ went above and beyond in assisting me. He provided extra information about the gemstones. I will look forward to shopping with CJ in the future!